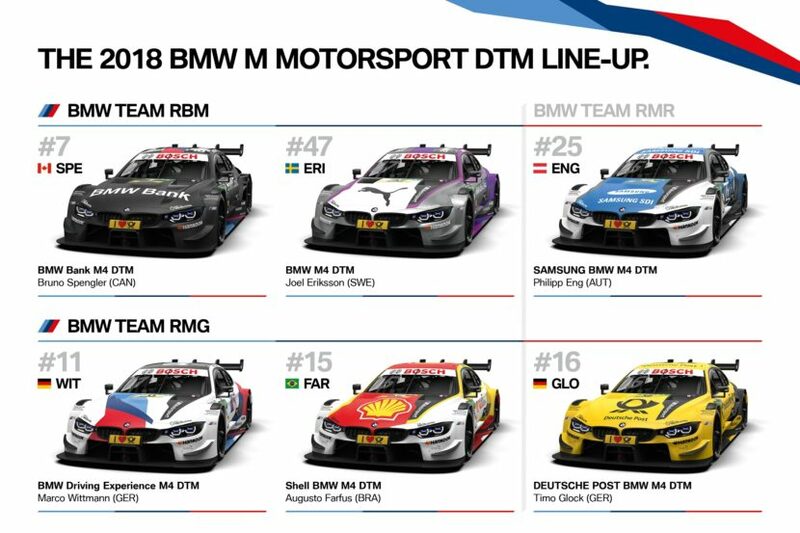 The 2018 DTM season is getting closer to its maiden race and BMW revealed its six liveries for the M4 race cars that will take part in the 10 races. 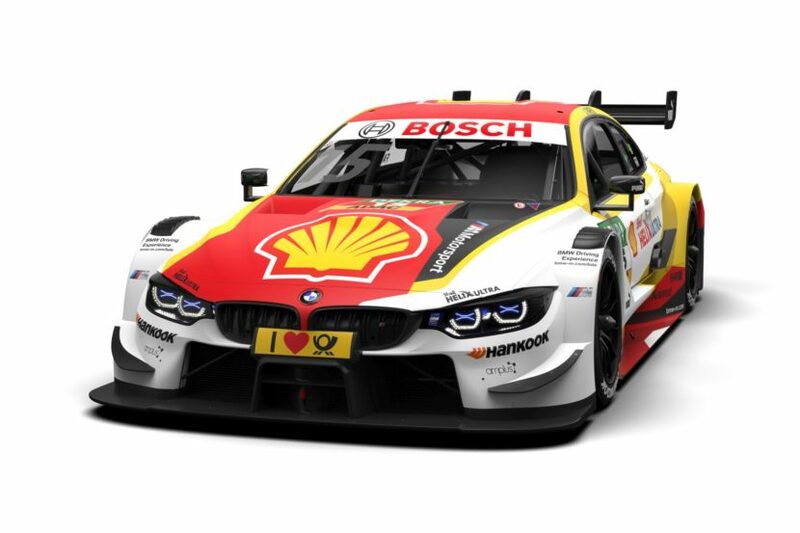 The first one we already knew, the M Performance M4 DTM car of Marco Wittmann being unveiled earlier this year, ahead of its first test on the Vallelunga track in Italy. However, the design of the remaining five cars has been revealed today for all those enjoying some DTM action. The modern, dynamic look was implemented individually for each BMW M4 DTM and customized to suit the car. The matte black element on the driver’s side of the bonnet and the v-shaped transition to the rear make for a unique recognition value. Long-standing BMW Motorsport partners remain part of the DTM project in the 2018 season. 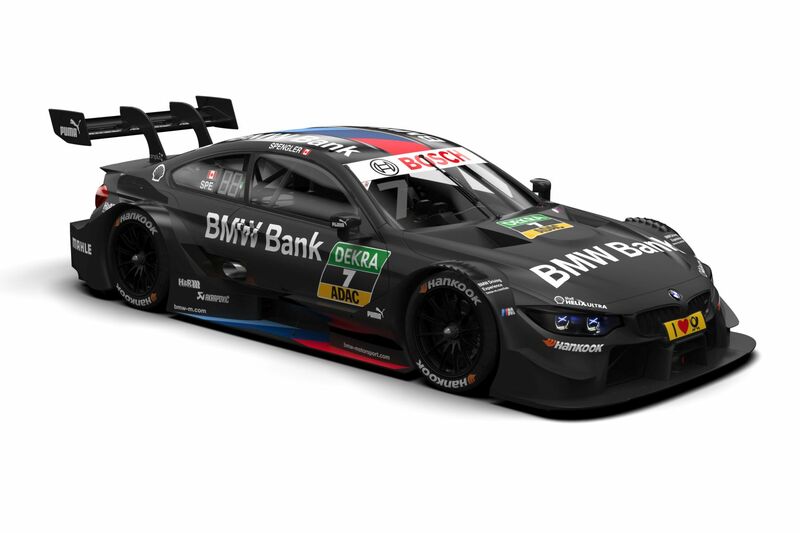 Bruno Spengler will take to the track once again with the number 7 BMW Bank M4 DTM. Brazil’s Augusto Farfus will return to the wheel of the number 15 Shell BMW M4 DTM. Timo Glock will contest the upcoming season in the number 16 DEUTSCHE POST BMW M4 DTM once again. Philipp Eng will contest his rookie DTM season in the number 25 SAMSUNG BMW M4 DTM. 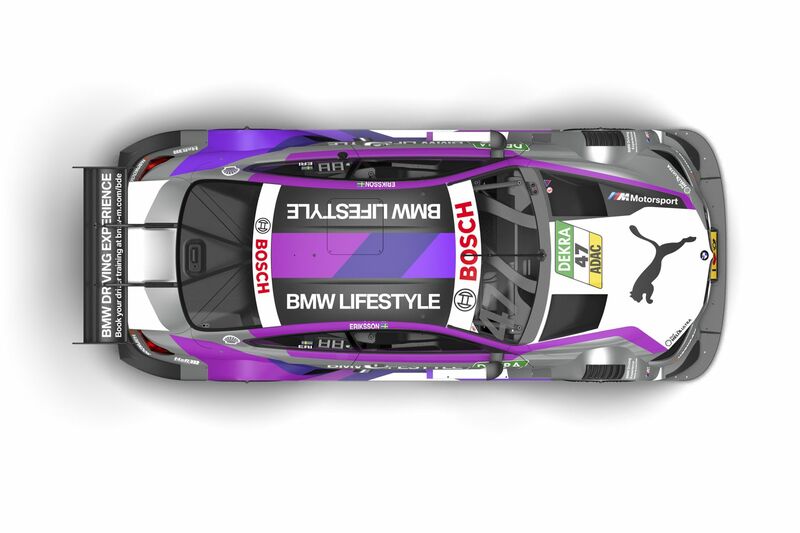 The sixth BMW M4 DTM in the squad, driven by BMW DTM newcomer Joel Eriksson (car number 47), will bear the Puma and BMW LIFESTYLE logos. In addition, other partners and suppliers will continue their involvement in the BMW Motorsport DTM team for the upcoming season. This includes the Official Partners Amplus, Akrapovič, BMW M Performance Parts, H&R, MAHLE, ZF and Zollner. In addition, Oakley joins Puma as an Official Supplier. The 2018 season gets underway with the first races on 5th and 6th May at Hockenheim (GER). There will be a total of ten race events, with the season ending in mid-October, also at Hockenheim. The DTM will also be in action at the Lausitzring (GER), Budapest (HUN), the Norisring (GER), Zandvoort (NED), Brands Hatch (GBR), Misano (ITA), the Nürburgring (GER) and Spielberg (AUT) this year.